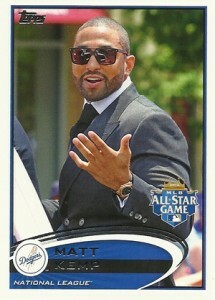 A big part of 2012 Topps Update Series Baseball is capturing traded players in their new uniforms. 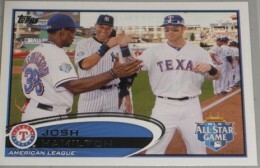 But sometimes last-minute blockbusters prevent every trade from being included, at least in the regular base set. 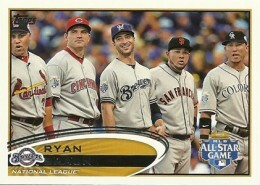 Shop for 2012 Topps Update Series variations on eBay. 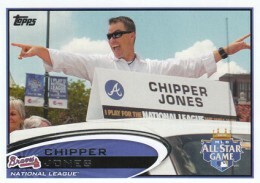 2012 saw a few major deals happen. 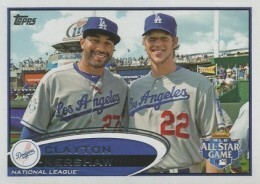 So while these players don't appear in the regular set, they do have 2012 Topps Update Series variation short prints. 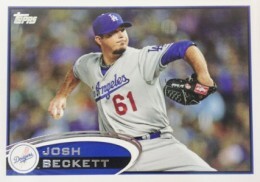 Topps has confirmed seven 2012 Topps Update Baseball variation short prints, most of whom were a part of the blockbuster deal that saw Adrian Gonzalez, Carl Crawford and Josh Beckett head to the Dodgers and James Loney to the Red Sox. 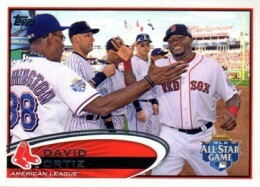 These seven short print variations replace other players on the checklist. 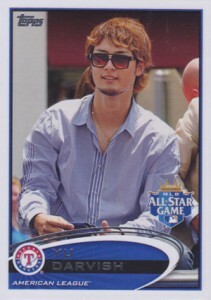 Ichiro is an eighth variation. 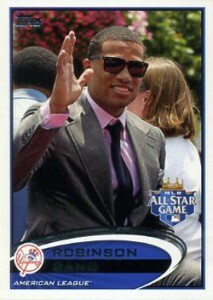 However he has two different cards showing him on the Yankees. 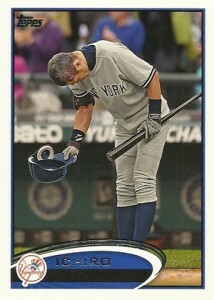 The card of him swinging is the regular version while a "bowing" version is the short print variation. 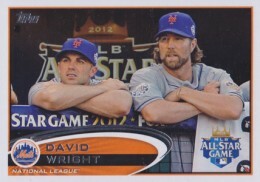 The 2012 Topps Update Series short print variations don't stop there. 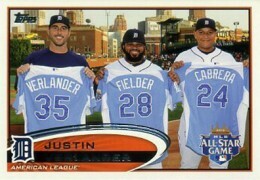 The All Star Game has several as well. 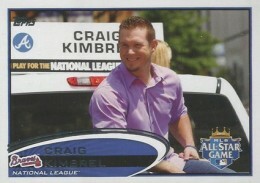 Many players are shown in casual clothes from the 2012 MLB All-Stars parade in Kansas City. 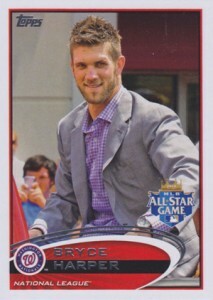 Bryce Harper (card US299) has two variations. One shows him in his casual clothes. 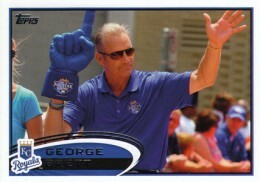 The second is a horizontal card. 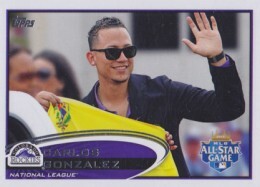 It appears as though the traded player variations are much rarer than the All-Star variations and are comparable to the Albert Pujols and Jose Reyes short prints from 2012 Topps Series 1 Baseball as far as rarity goes. 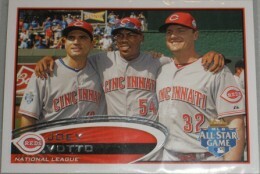 Reports indicate that 2012 Topps Update Series variations fall about three or four per case. Below, we've compiled a list of confirmed short prints and variations. 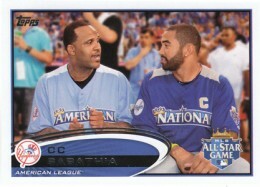 We've included descriptions and, wherever possible, images to help you easily identify these cards. 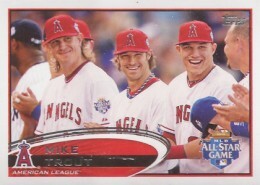 MIKE TROUT 2012 TOPPS UPDATE #US144 ALL STAR PHOTO VARIATION SP PSA 10 POP 30! 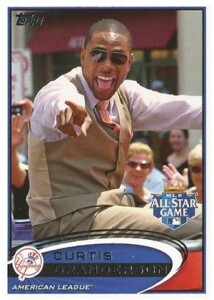 2012 TOPPS UPDATE CURTIS GRANDERSON SP VARIATION #US241 NEW YORK YANKEES - MINT! 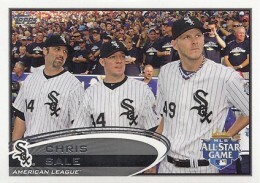 I really hope the Ichiro SP isn’t part of the US1-US330 base set. 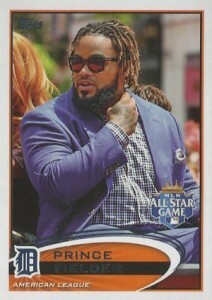 If so, that has the potential to screw over those of us that have pre-sold sets. 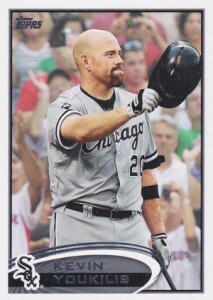 The card you show of Kevin youk is that the short print version ? 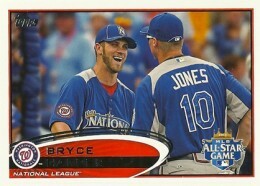 I have that card but the price guide say after the number of the card there’s a b . So would the card number be us6b ? 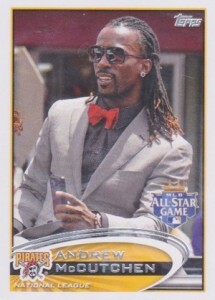 ayyjay718 � There is no “B” on the actual card. Some use A and B to differentiate variations in a database. In this instance, both the regular and variation are number US6. Hello. 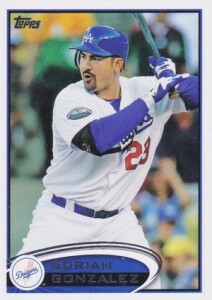 Anyone know how many 2012 US1 Adrian Gonzalez cards were printed. 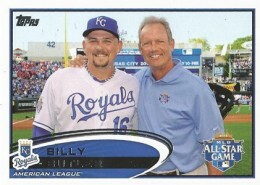 looks like one guy has 9 available on ebay and I am holding one.